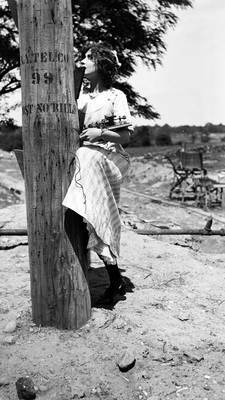 "Thanhouser actress on telegraph pole"
Actress leaning on telephone pole holding test equipment. “NY. TEL. CO. -99 – POST NO BILLS” stenciled on the pole. Thanhouser portrait photograph by Carl Louis Gregory, ca. 1912.